Normal series since 1962. Three digit vehicle code since 1998. The ideograms 沼津 denote Shizuoka (Numazu). 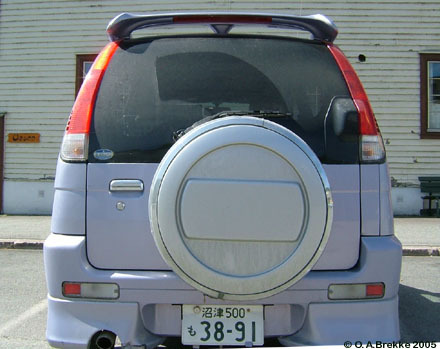 500 = Four wheel cars 661-2000 cc. 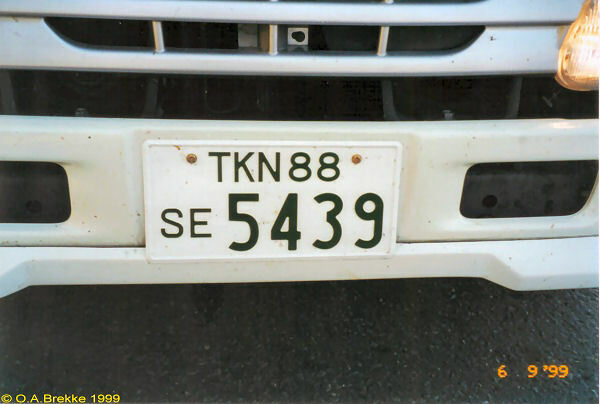 Dark green on white = Private vehicles over 660 cc. Small vehicle series since 1962. The ideograms 静岡 denote Shizuoka. 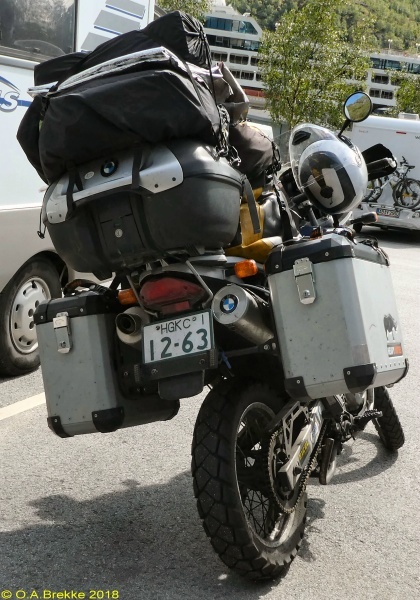 No vehicle code = Motorcycle over 250 cc. Dark green on white = Private. Small vehicle series since 1962. Officially issued foreign travel plates since 1964 with Western characters. 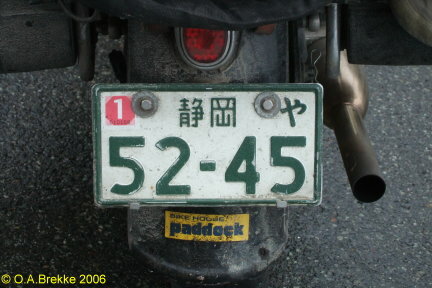 1 = Motorcycle between 125 and 250 cc. ACM = Aichi (Mikawa). Dark green on white = Private. Small vehicle series since 1962. Officially issued foreign travel plates since 1964 with Western characters. OSN = Ōsaka (Naniwa). 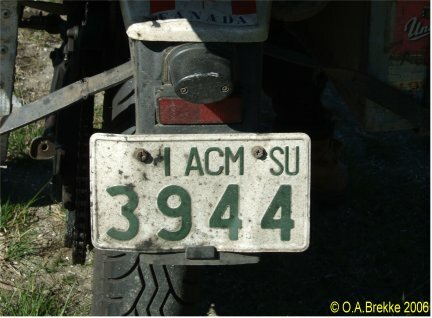 No vehicle code = Motorcycle over 250 cc. Dark green on white = Private. Small vehicle series since 1962. Officially issued foreign travel plates since 1964 with Western characters. KNN = Kanagawa (Shōnan). 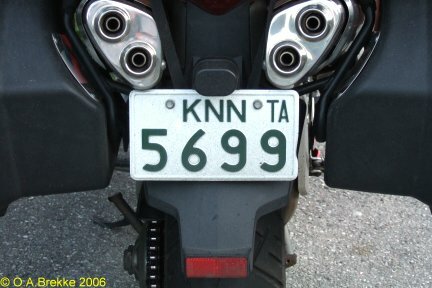 No vehicle code = Motorcycle over 250 cc. Dark green on white = Private. Small vehicle series since 1962. Officially issued foreign travel plates since 1964 with Western characters. 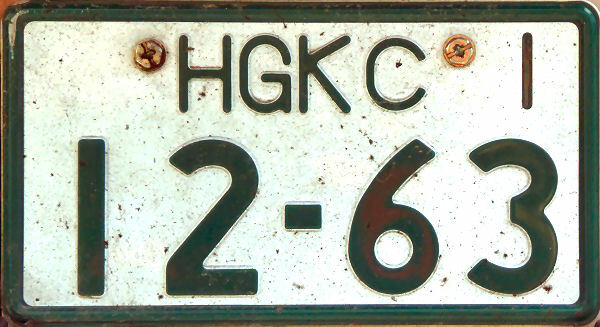 HGK = Hyōgo (Kōbe). 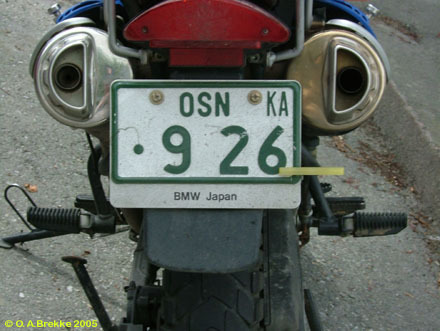 No vehicle code = Motorcycle over 250 cc. Dark green on white = Private. Since 2001, starting in Tōkyō (Adachi), serial letter after the prefecture code. Normal series since 1962. Officially issued foreign travel plates since 1964 with Western characters. Two digit vehicle code 1967-99. TKN = Tōkyō (Nerima). 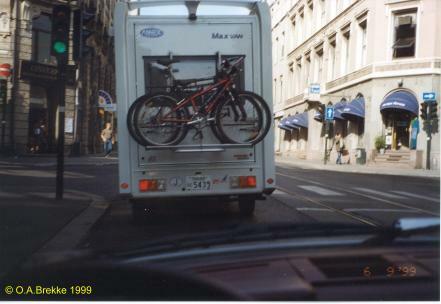 88 = Special vehicles. Dark green on white = Private vehicles over 660 cc.